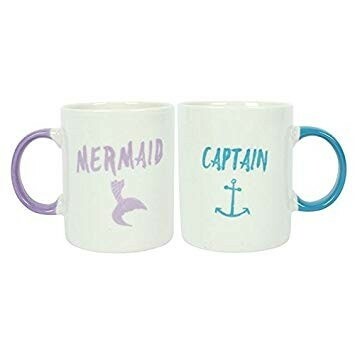 A lovey set of 2 ceramic mugs which read ‘captain’ and ‘mermaid’. The captain mug features a blue handle and the mermaid, a pink one. 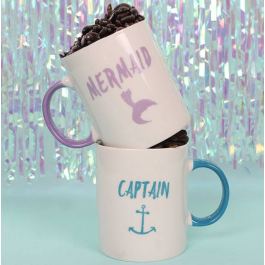 Comes in a beautiful bluey/green mermaid tail print box- would make a brilliant gift! Dishwasher and microwave safe.